I hope you are all well. I would like to say welcome to my shiny new members ~ thank you for joining. Also a very happy Independence Day to all of you over the pond in the USA. Today I am sharing a card I made for my Step Brother who is 40 today, he lives by the sea and used to have a boat, so I thought this image was perfect. I had the idea of making it look like you are looking through a ships porthole, but it took me a while to work out how to do it (I know I can be a bit thick sometimes)! I eventually ran the metallic card stock through my Grand Calibur a couple of times using my Nestabilities circles. For the waves I played around with a circle punch, because do I have anything that will cut or punch wave shapes in my massive stash? ~ Of course not! 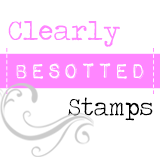 I was very pleased with the result and those glittered numbers I have used for the 40 are fabulous, they came as part of a free gift and I'm hooked, so I had to rush away and order every colour available ~ LOL! Well that's me for today ~ thank you for stopping by and all your lovely comments ~ I get a little thrill every time I see another comment has been left ~ I know sad isn't it? This is fab Bev. I love the boat and design. I am sure your step brother will be thrilled. wow - such a fantastic Card - it´s great!!!!! Beautiful card!! It really does look like you are looking through a port hole!! Thanks for joining us at Twisted Tuesday! Oh this is fabulous and absolutely perfect. What a fun card! You did a great job with the nautical theme! You really nailed that pothole look. Awesome! Wonderful card! Thanks for joining us over at Twisted Tuesday Challenges! Hope to see you again! What a great card for a man - I love it! Thanks for joining us at Bearly Mine this week. 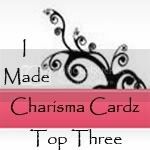 Love your nautical card and image. Thank you for playing along with us at Twisted Tuesday Challenges. What a fun card. I really like how you did the metal circle. Thanks for playing with us at Twisted Tuesday Challenges. Fantastic! Thanks for joining us at Twisted Tuesday Challenges! 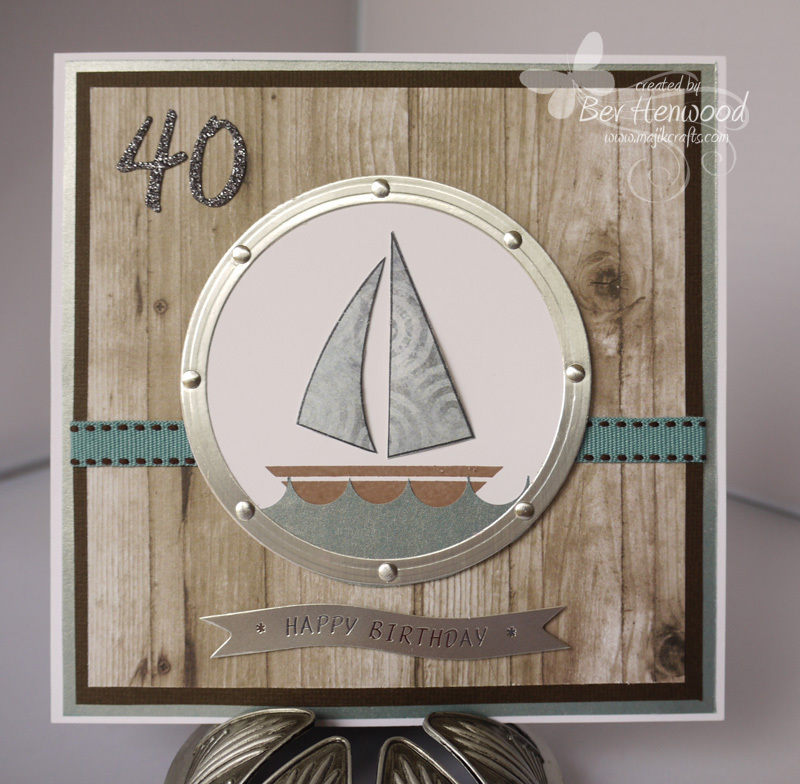 What a beautiful card with a nautical look! Love the DP! I also really like your blog look - cool owl! Thank you for participating in the Twisted Tuesday Challenge this week! I hope you'll do so again soon! Great card!!! Thanks so much for participating in our SCRIBBLES challenge!! Hope to see you again for our next challenge!! ...and thanks so much for participating in our TWISTED TUESDAY challenge!! Hope to see you again for our next challenge!! So pretty! I just love the colors you used! Thanks for joining us at Twisted Tuesday!